Another attempt at finding some modern art in NYC – after the meeting Jonathan and i hacked off to the MOMA only to realise the collection had been moved to Queens during the refurbishment, so then took a cab to the Guggenheim, again, only to discover it was closed thanks to a water leak. So we were due some good karma, which we found in abundance at the Metropolitan Museum of Art. There was an amazing exhibition for Christo and Jeann Claude The Gates. 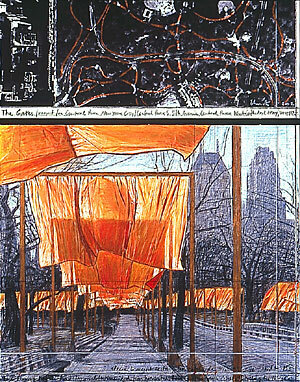 This project will mark 23 miles of pathways in Central Park with 7500, 16 foot high gates each draped in orange material. The art was bizarre, but we particularly liked the photos of committee and planning meetings which led up to the approval – all a strange echo of the standards meeting we’d just spent three days attending. 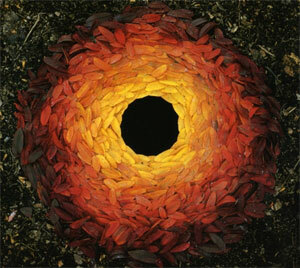 The project starts in February 2005. Also excellent were the Frank Lloyd Wright room, the African art and the extensive collection of modern paintings. 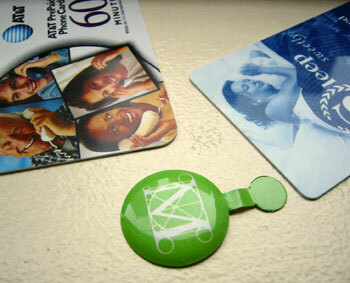 I liked the Met pin, but can’t really recommend AT&T call cards, they play an advert before connecting you, bah! A Whatfettle article by Paul Downey published Friday, May 21st, 2004, at 11:52 pm under a Creative Commons License.